You may find it hard to imagine a plastic pen with quality, class and style, but the Leonardo Ballpoint Pen come up trumps in all departments. 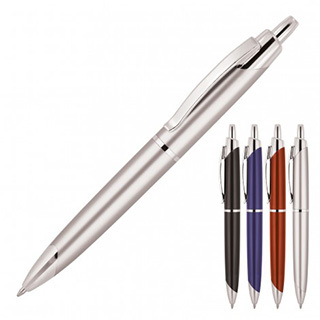 Printed with your promotional logo to upper and/or lower barrel, this elegant pen will make a great executive gift at a fraction of the cost. Equipped with push button, retractable ballpoint, the black ink is delivered via a quality plastic Parker type refill with 1.0mm nib and 1,000m capacity.